WENCHANG, May 16, 2014 - People sort out their catch at the Qinglan port in Wenchang, south China's Hainan province, May 16, 2014. 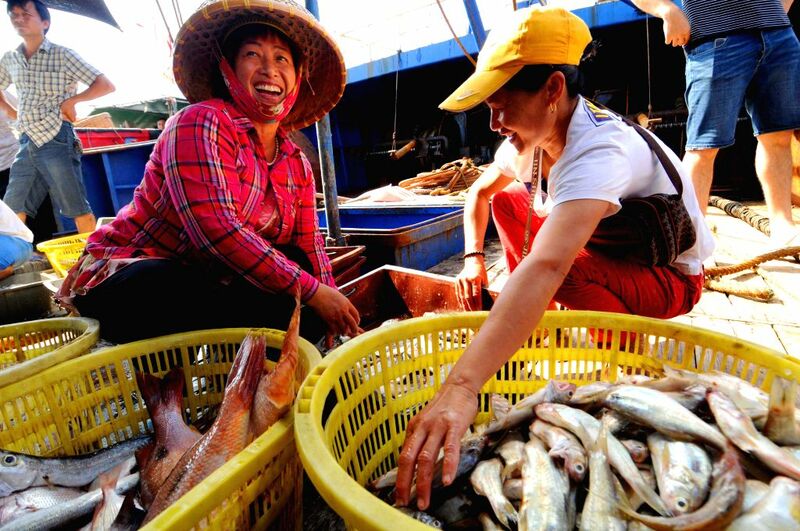 The two-and-half-month summer fishing moratorium lasts from May 16 to Aug. 1, in some parts of the South China Sea, as a routine annual measure to rehabilitate marine resources. 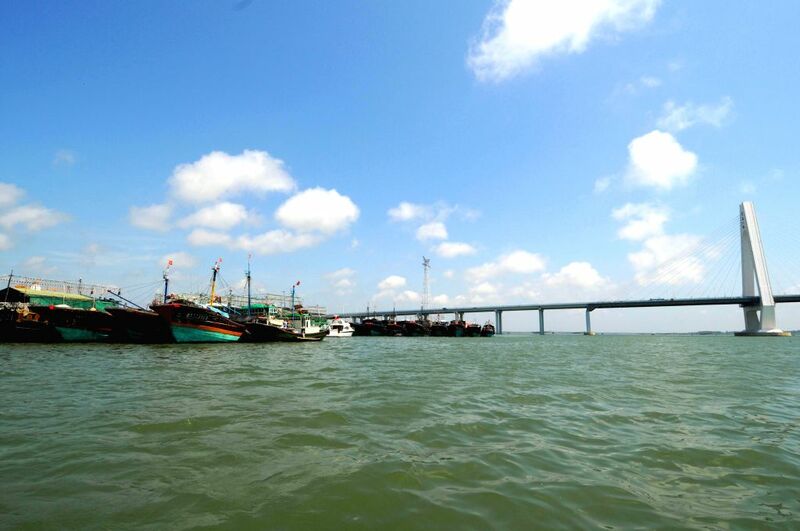 Photo taken on May 16, 2014 shows fishing vessels docking at the Qinglan port in Wenchang, south China's Hainan province.